As many of you know, I love taking photos of trees that potentially will end up as the cover tree on my newest Mary O’Reilly book. 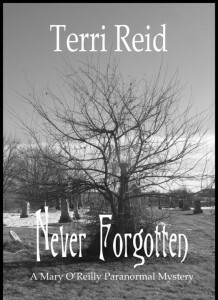 Sometimes, as I’m finishing up a story, I realize that I don’t have the right tree for the cover. So, I treat myself to a photography day and go in search of the perfect tree. This was the circumstance when I took this photo. 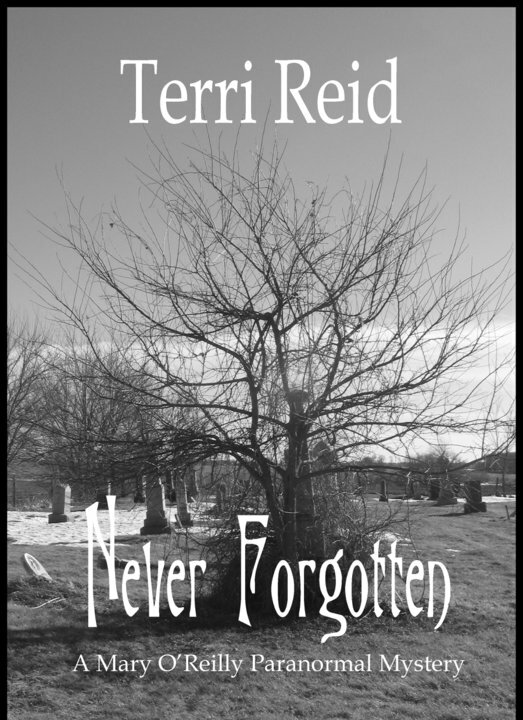 I was searching for a tree for my third book in the series, “Never Forgotten.” I was driving all around Orangeville, Illinois, where much of this book is located, when I stumbled across a little cemetery hidden away on a gravel road. And, much to my delight, there were trees surrounding some of the gravestones. Perfect!!! It was during February and we had a lot of snow on the ground, so I parked my car across the road, trudged through the ditch and inelegantly scrambled up the steep other side of the ditch to get to the cemetery. The sun was shining and the snow had been partly melted in the cemetery itself, so I spent a delightful half hour or so taking photos from all different angles. When I got home, I uploaded the photos to my computer. Generally, I use the blur tool and add a few subtle blurs to the photo to add interested. 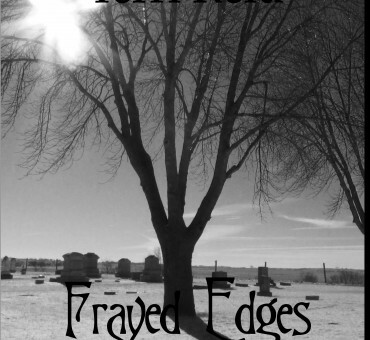 I was surprised and intrigued to discover that my photo already had blurs, right in the middle of the tree that had grown around a prominent gravestone. I checked the other photos, to be sure it just wasn’t a random glint of light on the lens. But from every angle, that “blur” was in all of the photos in the same spot. 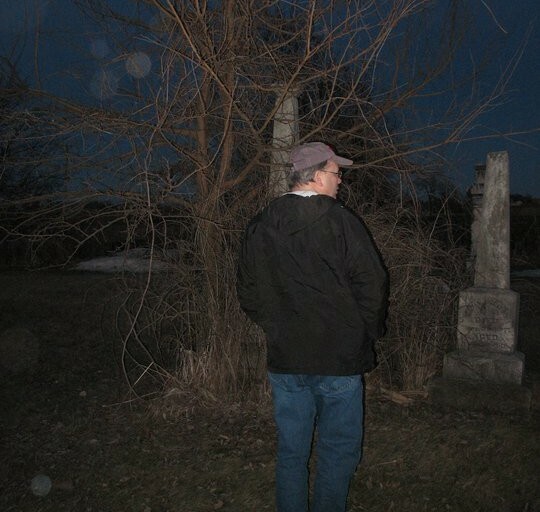 I called my husband and he suggested we go back to the cemetery once he was home from work. Really?!?! Go back to the cemetery with the blur at night?!?!? Is that a good idea?!?! Well, we went back. I have to admit, I was partly expecting to find the remnants of an old spider web in the tree. But, no, the tree was web free. 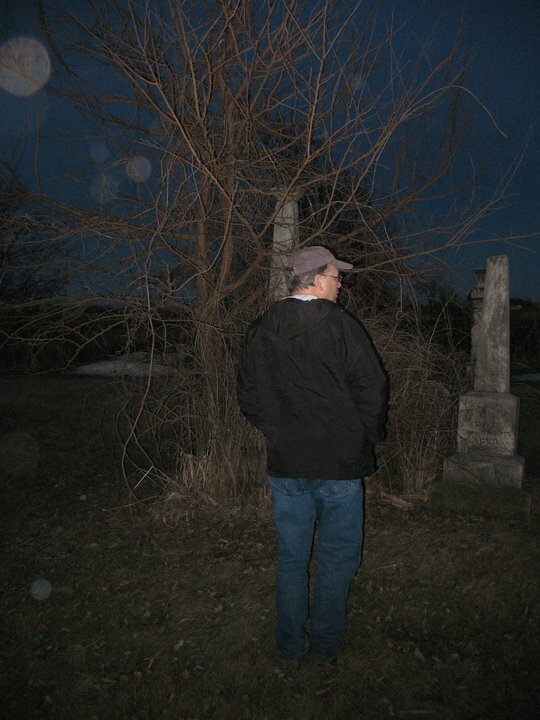 And when I took some new photos of the tree at night…well, as you can see, we had quite a few visitors in that old cemetery with us. Readers ask me if I have a favorite cover and I often mention “Never Forgotten.” And now you know why. A great write-up by Terry Ambrose! I’m half way through Mary o’reillys book 16. I love these books, will the series continue. I really do hope so. I started book 1 of the Mary O’Reilly series on May 18th and I’m already on book 15 and it’s only June 4th. I just can’t seem to stop they are so addicting. I don’t want them to end.